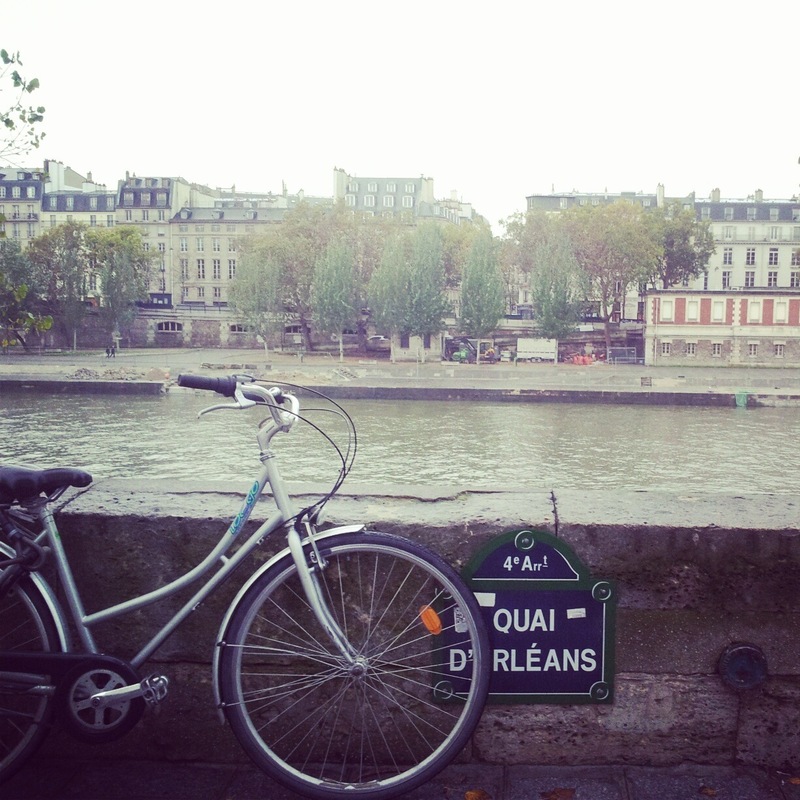 As skinny as everyone around you looks in their rolled up navy or khaki pants, people in Paris have to eat. As a matter of fact, you have to eat also. In short, we all do. But unlike other things that we as humans cannot live without – sleeping, breathing, laughing, listening to early Madonna – food costs money. In a mythical time some have come to call the 90s, people had secure jobs and the euro was not this impossibly valuable currency. During this era, Parisians managed to keep food shopping at a medium level priority, right in between learning another language and finally taking that trip up to Normandy. As times have gotten progressively tougher however, people have had to worry more and more about what to buy and where. This may have disturbed the cherished ‘natural’ order of things in the city but it has also prompted some to explore more places on the fringe and find cheaper ways to eat well. There are bistros on every corner but even if you could afford to eat there every day, for three meals a day, you would get tired of it. Besides, spoiler alert, (don’t read the end of this sentence if you like to eat out a lot in Paris) most of their food is pre-bought and frozen. Hopefully this breakdown will help you be kinder to your taste buds, and your bank account (which did take about a month to open). The first rule of grocery shopping in Paris is avoid Monoprix. I know it’s kind of a violent statement especially since it has such a friendly name. I mean, Monoprix sounds like a steal right? Wrong! You can do the experiment yourself. Think of three things you want to buy and estimate a price, then get them at Mono. It will always be more than expected by a good 30%. It’s not that me and Mr. Monoprix have a personal feud or anything, it’s just that I have on certain occasions managed to spend 20 euros on wine, bread, cheese and crisps. Monoprix is only for when nothing else is open, or you are literally just buying a bottle of wine. Be wary of even friendlier sounding Monoprix offspring like Monop’ or Daily Monop’. They are worse. Carrefour is usually a better option than the big M. However, make sure you find a Carrefour Market and not a Carrefour City. What’s the difference? Well, in the market variety you find more things for a lower price. Easy choice right? True, there aren’t as many as the City ones but it is worth googling the closest to your location. This place is great for when you need that one thing you’re missing, like tomato paste, peanut butter or capers. If you’re looking for low prices then head to Ed or Dia. They are two brands of supermarket that are usually a bit less conspicuous than their big rivals. (I like to think that Ed is a man and Dia a woman and they are married, and run their supermarket business together. But that’s not important.) Yes, these are a bit more – as a friend once put it – ‘ghetto’; you won’t find pictures of freshly cut fruit or people smiling and running barefoot over meadows decorating the walls. In fact, all you will find is a supermarket that looks like it’s out of a bad 80s movie, complete with bad 80s songs playing on a low quality PA system. But who can argue with 10 yogurts for €1.50. Picard is not a supermarket, but it is a place to buy food. It’s a shop that sells everything ready-made and frozen — all you have to do is get home and heat it. The truth is, most of their stuff is very good and not too dear. However, like taking steroids or jumping the turnstile for the metro, it feels like cheating. Yes it may provide certain adrenaline seekers with the rush of ‘getting away with it’, but I like to reserve Picard for when I have to ‘cook’ for friends or bring something to a party. “No one will ever know; it is my little secret; I am in control of this” I say to myself while my eye violently twitches and my fingers fidget as if they were playing a nonexistent synthesizer. “That carpaccio was great!” is what they usually say. Never reveal your superpowers though, that is the only way to maintain the magic of Picard. Add some extra basil or balsamic vinegar to your pre-bought item and Paul Bocuse will be hiding under his pillow shivering! 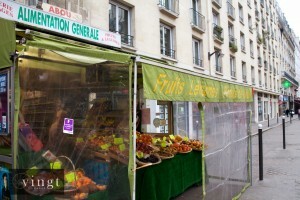 By now you have probably noticed the most accessible of all Parisian sources for the edible: the Alimentation Generale. As tempting as it can be, never call it the Ali G: it’s embarrassing. This place is a tiny store full of mostly beer and wine with slightly more expensive than average prices. Remember if you need wine at the last minute, you can always count on these places (if you have more time, go to Nicolas). In fact, the Alimentation Generale exists precisely for that purpose – desperate last minute shopping. If there is yet another French public holiday that you didn’t know about, they will have cans of tuna. If you walked out of the metro and are on your way to a friend’s, they will have beer. Always be nice to them and watch out for the music that they play, sometimes it is truly awesome. Just the other day, a friend and I were wandering around the streets of Montmartre and opted for a bottle of wine outside instead of two expensive demis at a crowded bar. As soon as I walked in a strange but cool music hit my ears. I asked the man behind the counter. “Blues from Mali,” he replied. 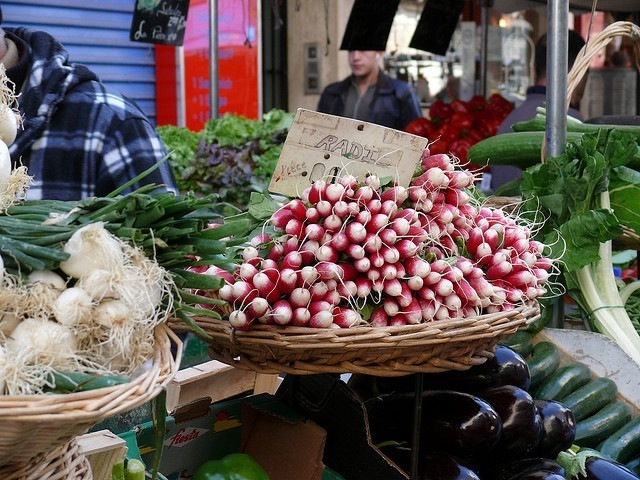 Here is the secret to Parisian produce shopping. They may not be open at times when you are awake or not hungover (most are usually open on weekend mornings) but you will find a lot of basics here at incredible prices. Watch out though! There are two kinds, and the really expensive ones are usually located in the fancier arrondissements (i.e. 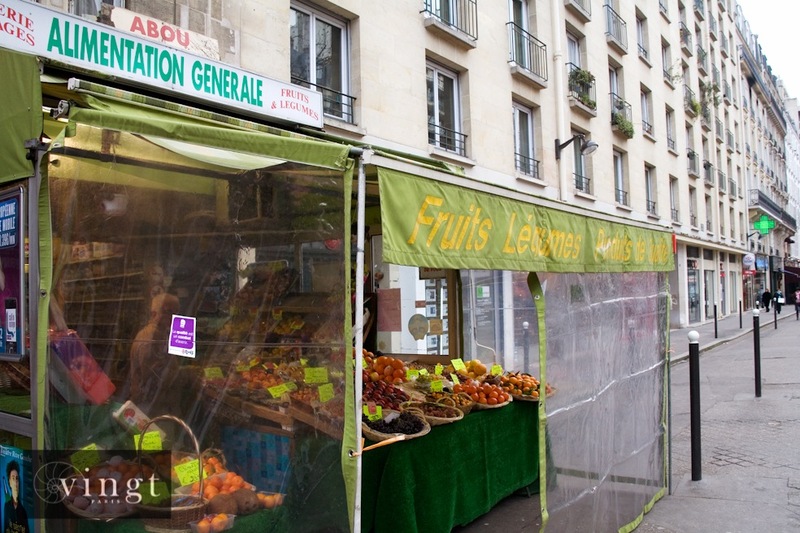 the organic market on Blvd Raspail in the 6th). These will sell you 150g of olives for €20 and are seen more as a source for gourmet than weekly living. 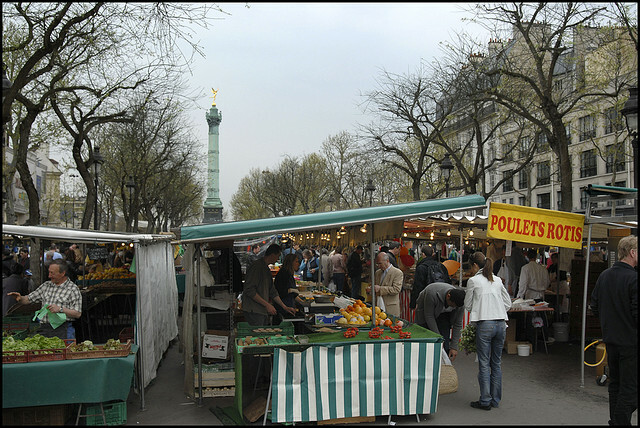 I would recommend two markets – Bastille and Barbès. I’m sure there are tons of good ones around the city but I have been to these two and they suited me more than fine. 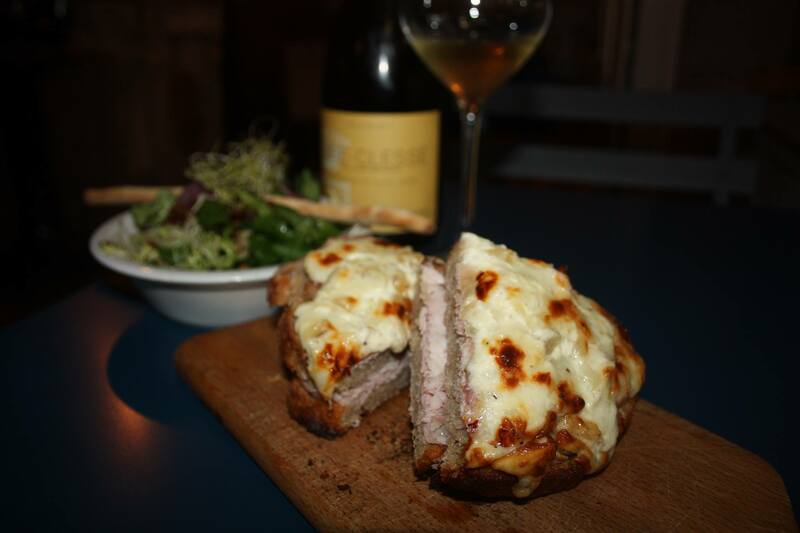 Bastille is open Thursday and Sunday mornings until 14h or 15h. 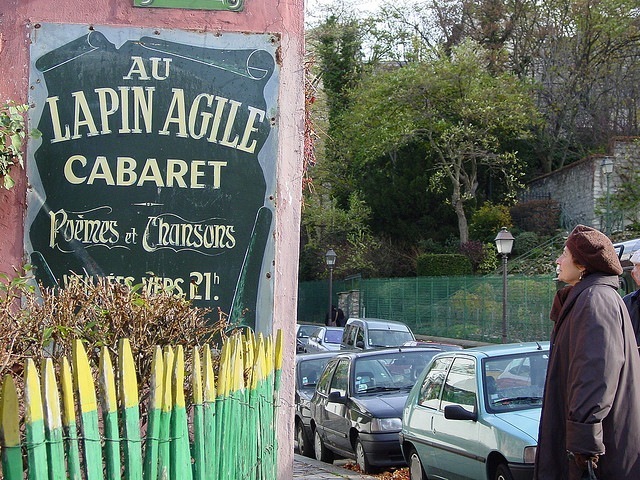 It is located on the north side of the Bastille roundabout, where there are usually carnival-like stands. Amidst a sea of people and bargaining, you will find that €15 is enough for a weeks worth of fruits and vegetables. My favourite however is the market at Barbès-Rochechouart on Wednesday. If you don’t like crowds, don’t come. The market is located directly under the tracks for line 2 in the Barbès-Rochechouart station. It is a largely African and predominantly muslim neighbourhood. So between the screams of “Yalla, yalla, un euro!”, the colourful dresses and the smell of spices, you will travel far from the ‘croissant aux amandes’ Paris. Be sure to bargain, be sure to check that what you’re being sold is actually what you asked for and be prepared to try fruits or vegetables you wouldn’t normally find elsewhere. The earlier you get there the more things you’ll find. I’ve also bought fish and eggs here, which were good. The last time I went I spent €20 on: two pineapples, six onions, 500g of spinach, a handful of radishes, five limes, ten carrots, five peaches, six courgettes, two shallots, garlic, a tiny box of kiwis, a mango, half a kilo of potatoes, six eggs and two Panga fillets. There is one final category of shops that I would recommend to explore. They are a mix between an alimentation generale and a supermarket and usually carry products from outside France, mostly its former colonies. You will find these under names like “Supermarché Afro-Antillais, Afro-Asiatique, Franco-Africain, Produits Orientaux, 100% Halal” or any other hyphenated combination of geographical regions. These places are good for spices, nuts and sometimes dried fruit. I once bought a kilo of almonds for €5 and enough dried capsicum peppers to last me a year for €2. These places are also good to find peanut butter – don’t be scared, it comes in a can. I would recommend places along the Goutte d’Or quartier – south of boulevard La Chapelle, north of Rue Ordener, west of Boulevard Barbès, and east of Rue Stephenson. Get off at Château Rouge metro and follow the music, chatter, street preachers and general sound of bustle. Another area worth recommending is the Tamil neighbourhood between La Chapelle and Gare du Nord. This is a great place to find curries, nuts and rice. Make sure you make grocery shopping an event. It is a lot more fun when you go with a friend and get to argue, bargain, push and be pushed around, and buy previously unknown foods. And don’t be afraid to ask – unlike places in central Paris, people here don’t usually feel like they’re doing you a favour.